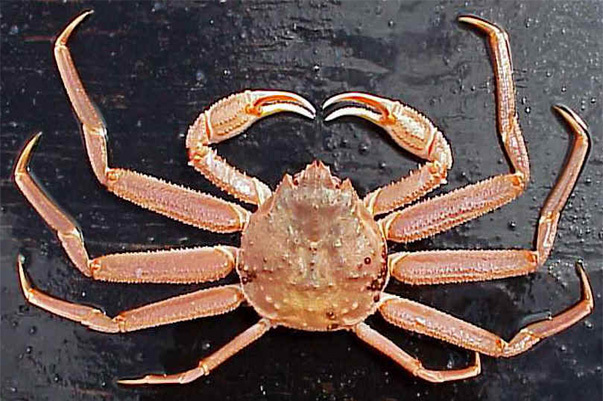 Border District Court of Primorsky Territory fined 2.3 million rubles, a local resident for organizing the illegal catch of six tons of crab, according to the website of the Chief Military Prosecutor’s Office. The organization of the illegal catch of six tons of crab revealed in the Primorye 304th Military Prosecutor’s Office of the garrison of the Pacific Fleet. The court satisfied the requirements of the military prosecutor and decided to recover from the local resident in the state revenue 2.3 million rubles. The decision came into force. It clarifies that earlier by the decision of the Ussuri District Court of Primorsky Territory she was found guilty of committing an administrative offense under Part 2 of Art. 8.17 of the Administrative Code (violation of fishing rules), and fined 1.5 million rubles. Execution of court decisions is under control in the 304th military prosecutor’s office of the garrison. Newer PostPolar Vortex Turns Niagara Falls into Frozen Winter Wonderland.